If you’re looking to get more in touch with your body, heal naturally, learn to tap into your ki energy, and better harness the power of the mind, then you’re going to love this course, Qigong Exercises for Self Healing with energy master, Sumunjang. Qigong is an ancient practice of accessing and channeling energy to release energetic, physical, and emotional blockages in the body. Through posture and movement, join us and flow along with Sumunjang to unlock the secrets of the universe within and around you. Sumunjang shares his wisdom and experience in helping others, and himself, heal and lead a more vibrant life. From lack of strength and energy, to relieving pain and improving relationships, Qigong is an incredible practice to become more mindful, aware, and intentional in the way you live this one life. This healing practice has the potential to help you heal mind, body, and spirit—and learn how to take your health into your own hands. In this experiential course, Sumunjang helps you access your innate energy to activate your natural self-healing power and empower your body to rid itself of imbalance, dis-ease, and stagnancy through 20 fully guided instructional videos. This course is suitable for both experts and beginners and will help you take ownership of your body and mind. Chapter 1: Gain basic knowledge of what you can expect in this course. Chapter 2: Dive deep into the energy body and gives you practical ways to activate your 7 energy points. Chapter 4: Learn how to use mind power to strengthen your body, and use body power to strengthen your mind. Chapter 5: Discover 7 Qigong poses, from basic to advanced, to master your body and mind for deeper healing and to form a consistent practice. Sumunjang teaches Brain Education. 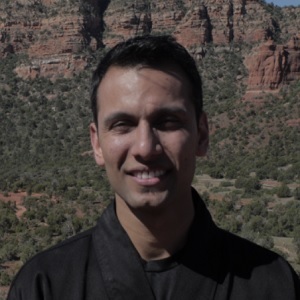 He has trained thousands of students in SF, NYC, LA and currently in Chicago. His passion is to help each individual get up on their own feet. His program focus on increasing Physical power, Heart Power and Brain Power. You can train with him online and offline, privates and group sessions.